If you had long hair like Rapunzel, would you rope your man like this? The most disturbing is Snow White who seems to have murdered Prince Charming and stuffed him under the bed. 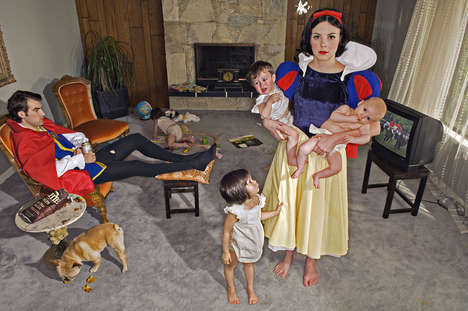 Maybe it's the little girl in me that's loving this campaign, but judging by the popularity of past modern fairy tale photo posts, perhaps interest in this type of modern photography really is on the rise.